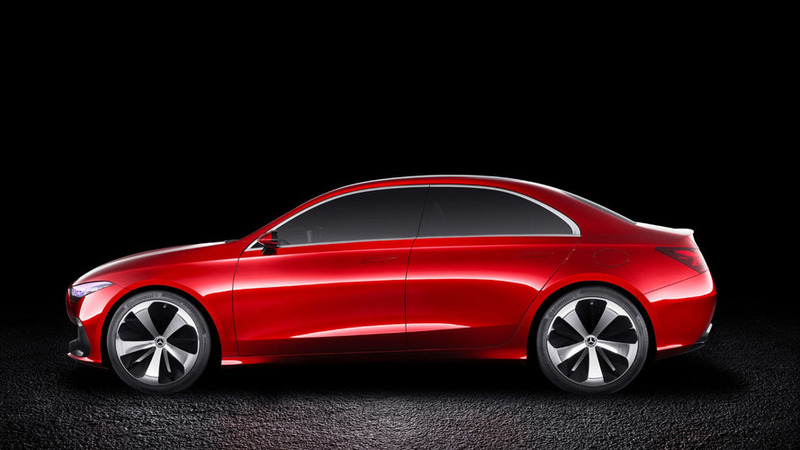 It was at the Auto Shanghai where Mercedes previewed its intentions of doing a sub-CLA model with the “Concept A Sedan” featuring a more conventional sedan body style without the swoopy roofline of the so-called “four-door coupe.” Now, the A-Class Sedan has been caught by the spy camera for the very first time to reveal its typical sedan shape with a higher roof that should translate into more headroom for rear passengers. 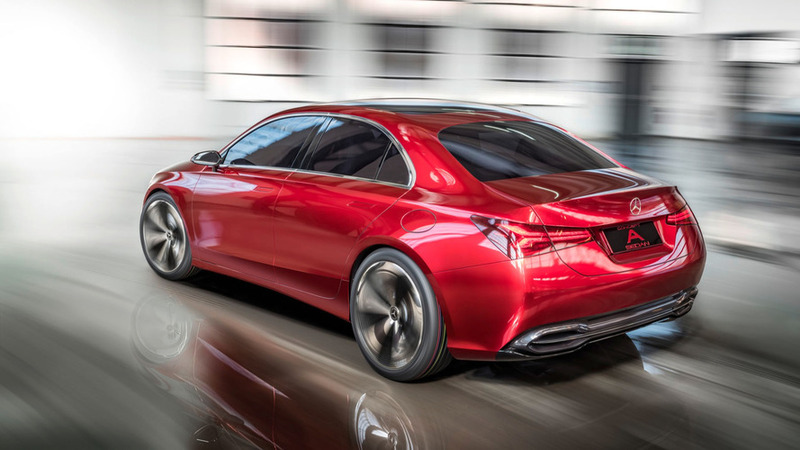 In addition, the different silhouette of the car could free up more space inside the trunk compared to the CLA, which the rumor mill is indicating will evolve to become a sleek fastback. 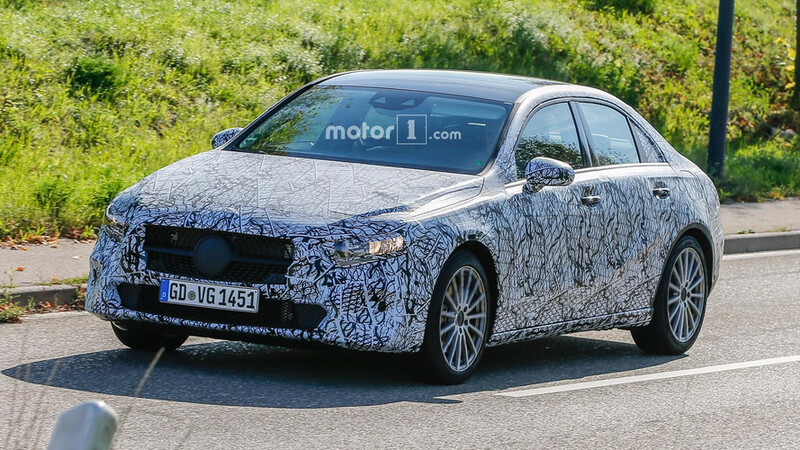 Mercedes dealers in the United States – where the model will allegedly go on sale in September 2018 - are saying the A-Class Sedan is going to be a “very-nice looking vehicle” featuring a “cutting edge and techy” interior. Needless to say, it’s going to be cheaper than the CLA. 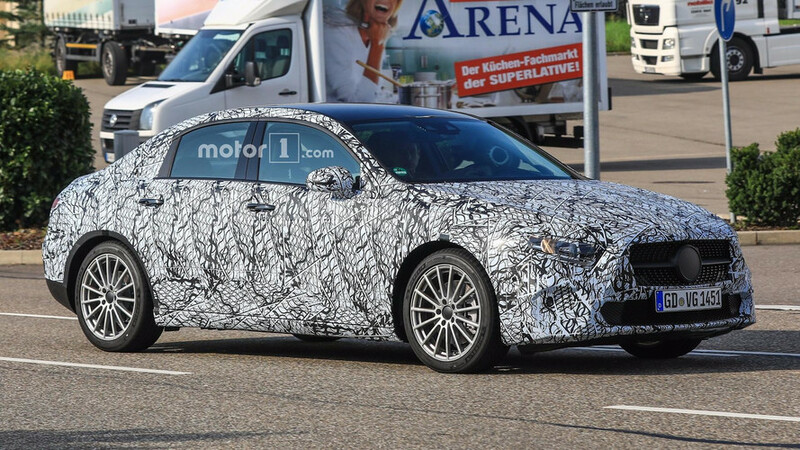 Hiding behind the swirly camouflage of this prototype is a body that will likely have a lot in common with the aforementioned Concept A Sedan since the showcar had a sensible design close to what you would expect from a production model. The front of the car will likely be virtually the same as the hatchback’s, with the most significant changes to occur aft the B-pillars. 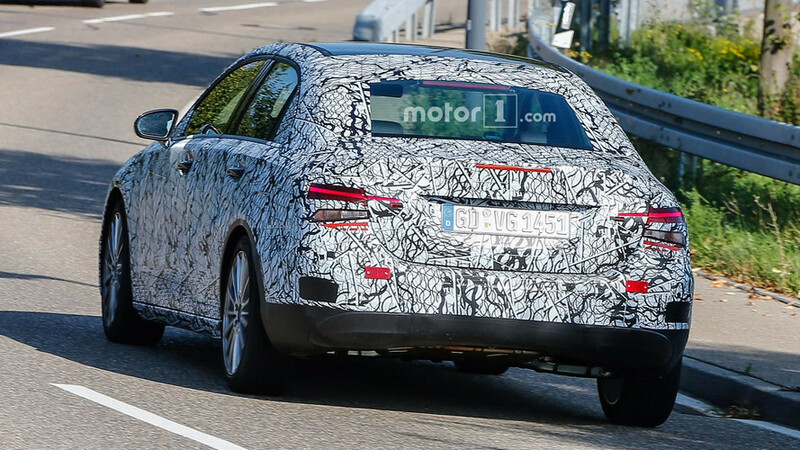 The longer bottom of the compact car appears to be hosting a brake light on the trunk lid, but that’s probably just reflective tape since the real third brake light is visible on the upper area of the rear window. The taillights are not entirely disguised and this gives us the opportunity to have a look at the graphics similar to those of the concept. Unlike on the CLA, the clusters have been extended onto the trunk. 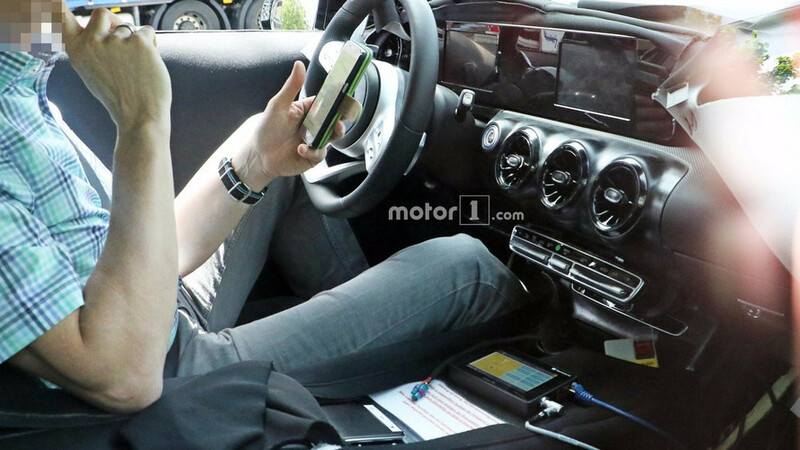 One of the biggest pieces of the A-Class Sedan puzzle is the interior since Mercedes did not reveal the concept’s cabin during the premiere in China back in April. 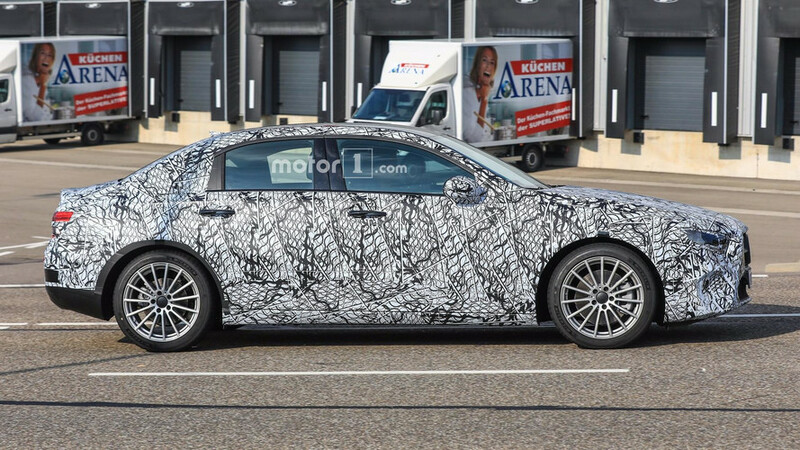 This leads us to believe some big changes are in tow for the entire range of compact models as evidenced by some spy shots from June showing a prototype of the hatchback. It had a dual digital screen setup in the same vein as the more expensive models, though the displays were smaller. 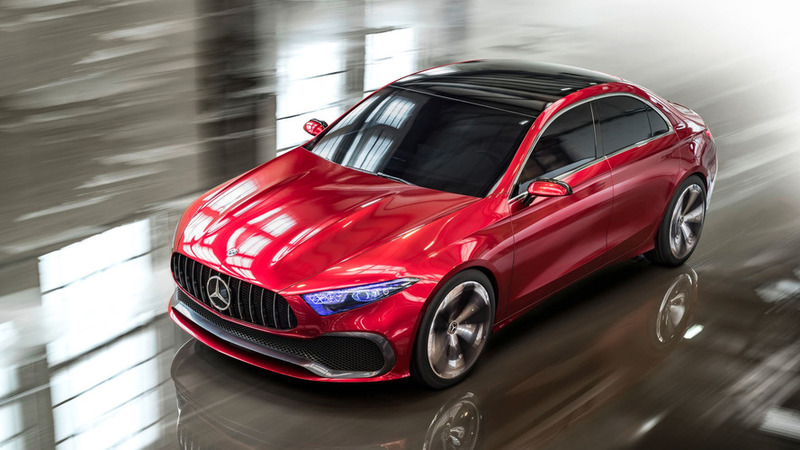 The interior configuration will likely be utilized by basically all of the company’s compact cars, including here the B-Class minivan and the GLA crossover. The range of C-segment models is set to grow beyond the A-Class Sedan, with potential candidates being a long-wheelbase derivative of the sedan and a GLB crossover. 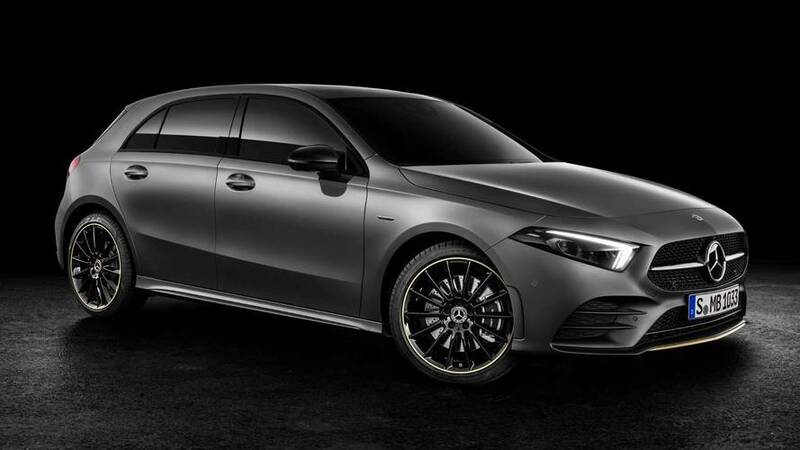 All will ride on an evolution of the MFA platform and there should be a plug-in hybrid version together with two-tier AMG cars, topped by a partially electrified A45 with well over 400 horsepower. 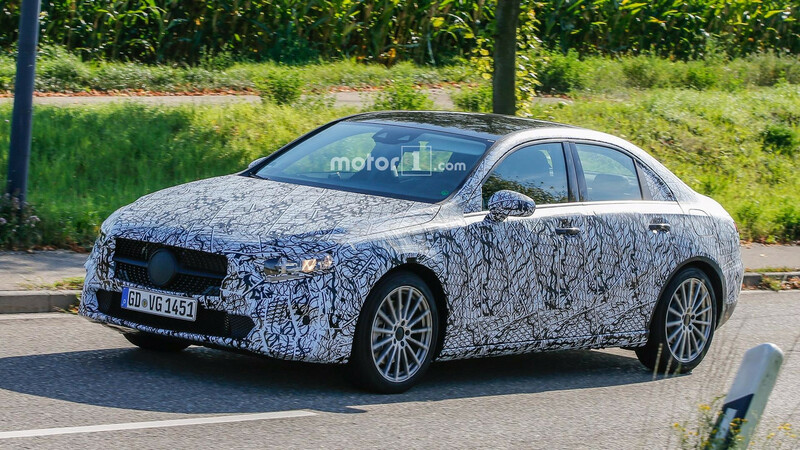 Leading the way will be the regular five-door A-Class hatchback due in 2018, with the sedan to follow shortly and the other members of the family to debut gradually until the end of the decade.